THE GREAT McGINTY was a critical and commercial hit in 1940, a political satire that launched writer-director Preston Sturges on several years of high-flying success. A hobo (Brian Donlevy) rises through the system all the way to office of governor, battling with shady acquaintance Akim Tamiroff all the way. Shot in three weeks on a low-budget, this won an Oscar for its script and the reception Sturges received paved the way for others who wanted to call shots on directing as well as writing. 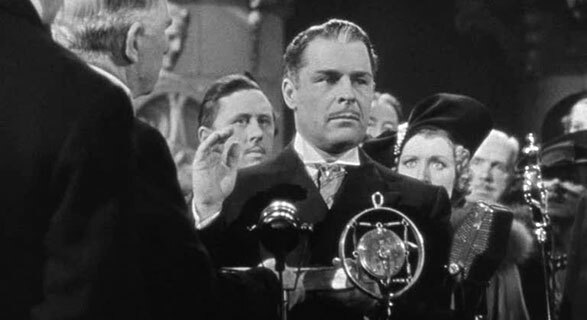 Coming off his own Oscar nomination for Supporting Actor in 1939s Beau Geste, where he played the nastiest in a long string of villains, Donlevy’s turn in this comedy ushered in the second half of his career where he played more likable characters. 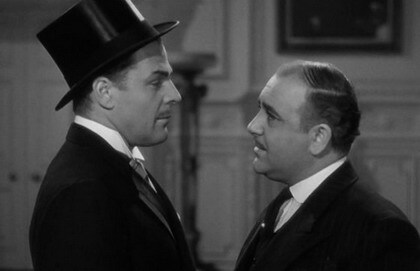 The brusque Donlevy and maladroit Tamiroff play expertly off one another, scrapping with gusto. Grossing $2,200,000, it’s a zippy 83 minutes, with gem supporting bits from Muriel Angelus, Allyn Joslyn, Louis Jean Heydt, and William Demarest, in the third of ten pictures Sturges used him on.